What resources are in the Park Library? Can we eat & drink in the library? I’m lost, how do I find the Freedom Forum? Or another room in Carroll? Where are the other UNC Libraries? What are their hours? My book is overdue, now what?! or: What should I do if I have a fine? What is the deal with the Kitten Cam? How do I get a carrel at Davis Library? How do I print in the Park Library? How do I use the CCI printer? My phone / computer is running out of gas. How can I charge it? Does the Park Library have a fax machine? How do I access journal articles off campus? Can I turn in books from other libraries than Park? What is the Bloomberg terminal and how do I use it? Can I check out books if I am not a student? How do I request books online? Where can I find information about newspaper circulation? The Park Library is here to help you find the best resources. Check out our Research page to find ways to get started! Yes! Please just be reasonable and responsible when eating, and clean up when finished. I’m lost, how do I find the Freedom Forum or another room? Here are links to maps of UNC’s campus. 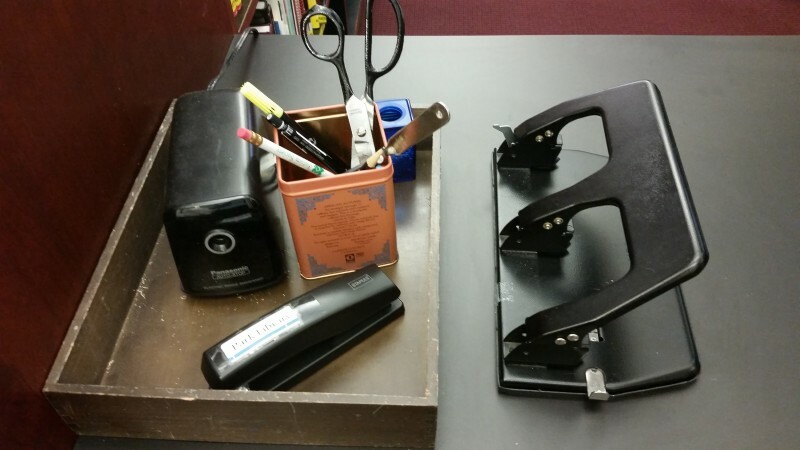 Does the Park have a stapler? These are next to the desk across from the photocopier. Where are the other Libraries? What are their hours? Check out the hours & locations for all of the libraries on UNC’s campus! Fines can be complicated, so check out our page about borrowing to learn more! Lose something? Check with the Park Library Staff at the desk. We keep lost & found items for at least 30 days, but after that, we send items to the campus-wide Alpha Phi Omega Lost and Found in the Student Union. It can be reached lostandfound.rho@gmail.com. Park Library loves cats! 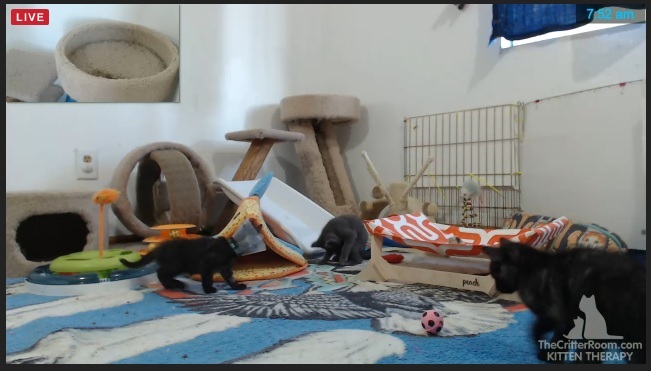 The Critter Room kitten cam is a 24 hour live-stream based out of Seattle, WA. Foster Dad John Bartlett takes in cats and their kittens to foster for the first few months before helping them to find forever homes. Read more about John or the organization he works with, Purrfect Pals. Davis Library Graduate Carrels policy. Apply by filling out an application form available at the Davis Library Circulation desk. The Park Library has a CCI printer located in the middle of the library near the center Macs. Read more about campus printing options. Select “CCI_Printing” as the printer. This should trigger a pop-up window that asks for both the ONYEN and a name for the job. Enter the information, and press enter. Once at the CCI printer, enter your ONYEN and password into the computer. Select the job that you want to print and press print. In Word: Click print. In the new window, there will be a drop down menu where it says “Copies & Pages”. Select the “Layout” option, and then check the “Two Sided” box. Acrobat: “Print Settings” then check the Two sided box. Photoshop: “Print Settings” button right under the dropdown menu for choosing a printer. Once the new popup appears, then check the “Two Sided” box. Illustrator: Click the “Setup” button in the lower left corner. Once the new popup appears, then check the “Two Sided” box. 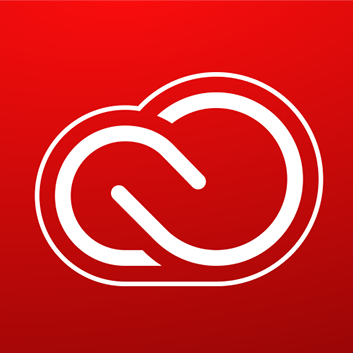 InDesign: Click the “Printer” button in the lower left corner. Once the new popup appears, then check the “Two Sided” box. There are 4 CCI printing locations on campus. They’re in the Undergraduate Library (UL), Davis Library, the Health Sciences Library, and the Sloane Art Library (102 Hanes Art Center). Color printing from your laptop requires you to download an additional color CCI driver. We also have two Thunderbolt displays that charge and display MacBooks! The Park does not have a fax machine. Use the Print Stop & Copy Center on the third floor of UNC Student Stores. Faxes are 50¢ per sheet, with no charge for cover sheets and a maximum charge of $3.00. The Bloomberg terminal is a financial database with up to date information about companies and markets worldwide. Learning to use the Bloomberg can be tricky, so check out our Bloomberg Guide or make an appointment with Stephanie to set up a time to learn it. In order to access journal articles from off campus, start at the library website to reach the article or database. You will be prompted to enter your ONYEN and password; once you have, you should be able to access the article or database. If you have an problems, contact the library. Reserves are books put on hold by professors for the students in their classes. These books are high in demand, so they are only available for two-hour checkout. If you need a reserve book, ask at the Park Library desk. Can I return books from other libraries than Park? Of course! Any book from any library on UNC’s campus can be returned at the Park Library. Yes, but first you have to head over to Davis Library to get a Borrower’s Card. Here is some more information to help you out! You will be prompted for the library that you would like the book sent to. You can also submit a request directly using this book request form. For more information, check out the Requesting a Book FAQ. The Park Library has a Newspaper Circulation guide that will help! If you have questions about finding the newspaper circulation, please contact us. 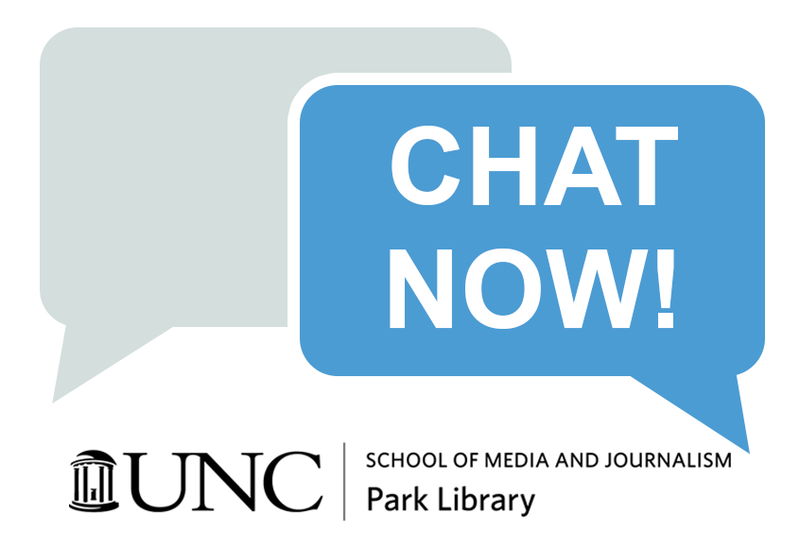 Click to chat with someone at Davis Library. You can also contact the Park Library staff by email or leave a phone message for Stephanie. You can contact the Park Library staff by email or leave a phone message for Stephanie.